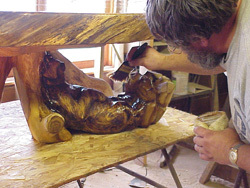 Sculpted and carved " theme " tables. 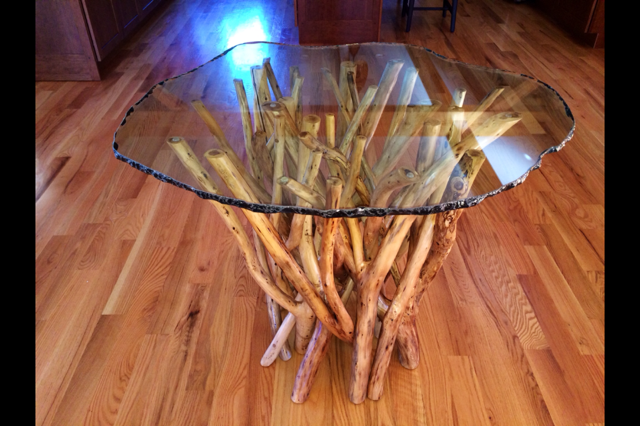 We work with wood, stone, or bronze. 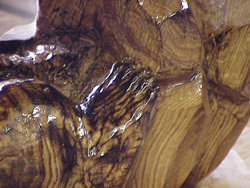 Original carvings or sculptings can be as detailed as you wish including the detail of an eyebrow. Costs start at $3,800 for a small original piece created in wood. 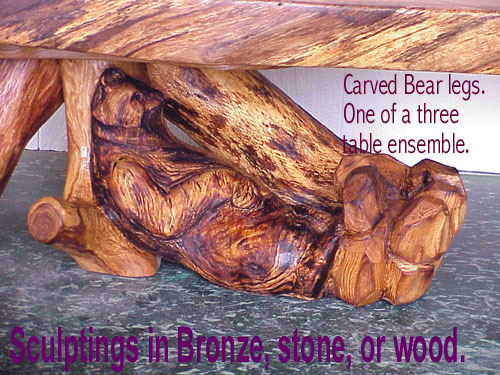 The above "Bear" table ensemble / carving: Mamma bear, Pappa bear, and baby bears playing in a mountain stream could be re-created for about $14,000. Let us know thoughts. Sketches and renderings available. Contact us, to discuss your theme ideas. You will be in direct contact with the artisans. Click HERE to contact us. Refer to " Carved theme tables " in your message. Give us an approximate size and any further information you can share. 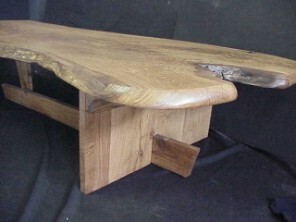 More images of center table detail. Detailing of your theme table can be down to the toe nails. I received a phone call in 2006. The gentleman wanted a theme table. The theme for the room was an English Hunting Lodge. Above is depicted, the result. A three table ensemble. 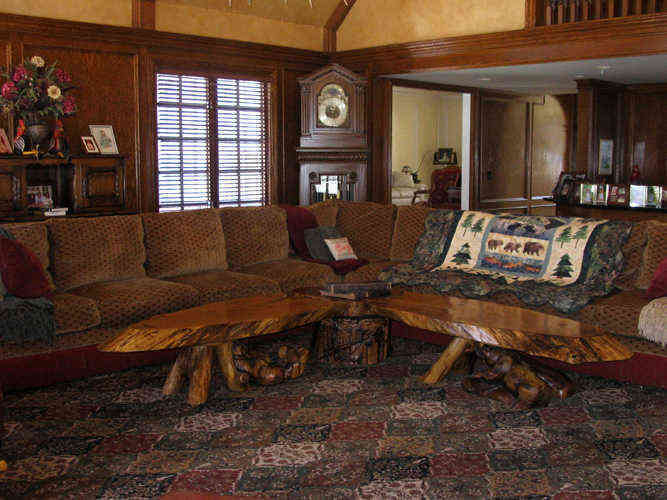 Tables snuggling together with "jigsaw puzzle edgings", wrapping around an "L" shaped sofa. "Bears" being the principal theme selected for the table ensemble and the room setting of an "English Hunting Lodge". This is the left table, of the three.